After Othman had been buried and the weekly Muslim Friday prayers began at noon, the mourners dwindled to hundreds who began chanting “Down, that’s it”, which has become the slogan of protesters signaling their main demand for Bashir to step down. The protests were triggered by price rises, but soon developed into demonstrations against Bashir. The president has responded defiantly, blaming the protests on foreign “agents”. He has said the unrest will not lead to a change in government, challenging his opponents to seek power through the ballot box. But the near-daily protests pose one of the most serious and sustained challenges to Bashir’s rule as his party prepares to change the constitution to allow him to seek another term. 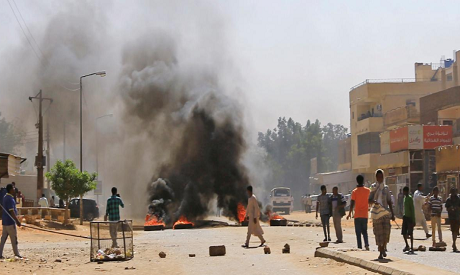 In violent clashes in Burri on Thursday, a child and a doctor were shot dead, the Sudan Doctors’ Committee, a group linked to the opposition, said. A live video posted on social media and verified by Reuters showed security forces pointing guns at protesters in Burri. Protests also erupted on Thursday in six other cities, in some of the most widespread disturbances since the unrest began on Dec. 19. Critics blame years of economic mismanagement for Sudan’s woes. The government announced an emergency 15-month austerity program in October, but it still offers deep subsidies on basic goods. The inflation rate increased to 72.94 percent in December from 68.93 percent in November. Sudan’s economy was also weakened when the south seceded in 2011, taking about three-quarters of the country’s oil wealth.